Manzoni Luigi e F. is an artisan company, based in Cantù, the homeland of furniture, that since the 1947 is producing high quality and unique pieces of furniture. Nowadays the company is specialized in the production and supply of luxurious bespoke furnishings for private houses and villas, for the luxury hospitality industry, and for the private yacht industry. Moreover an internal division of the company is currently focused on the field of furniture supplies for shops, restaurants and bar. 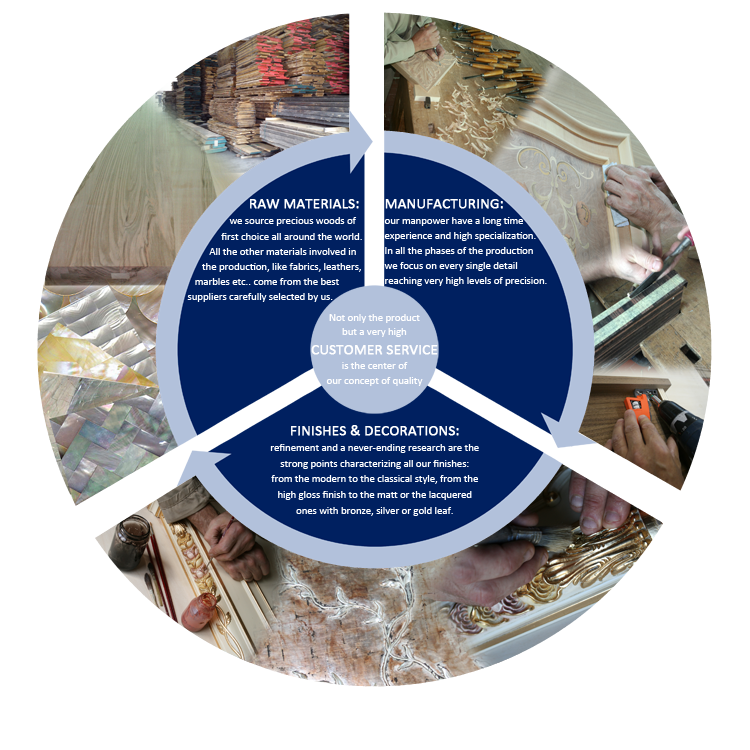 Starting from wood hand-worked products, including for example kitchens, special doors, boiserie, wood ceilings, arriving to metal parts, to special upholstered pieces, everything is made at an artisan level by expert hands. Three generations of passion, professionalism and high craftsmanship have created, across the time, a deep “know how” that year by year evolves blending the values of the artisan tradition with innovative technology, always pursuing perfection and elegance. Thanks to this knowledge and to our high flexibility we are able to satisfy every kind of request of our customers, both in contemporary and classical style, and the result are classy and harmonious furnishings that combine elegance and sophistication. Every project is not only an occasion of work, but also a challenge to amaze our customers going beyond our limits. Introduced in the twenties, and then evolved and developed over all the last century, the concept of quality, especially during the very last years, has been often improperly used. What we guarantee to our customers is a 360° system of quality, that covers not only all the phases of the production starting from the procurement of materials to the finish process, but also the service to the clients in every single aspect. The result are elegant and classy pieces of furniture of real value that will create a unique atmosphere everywhere, making the customers completely satisfied of having chosen Manzoni.